There’s something about the hustle and bustle of the city that’s contagious, and here at Vancouver Extended Stay, we’re lucky to be in the middle of it all. Situated along the border of Coal Harbour, we’re no strangers to this popular destination for locals and tourists alike. To help you plan your extended stay, our team is sharing a few of our favourite spots to eat, shop and visit, all within walking distance of this vibrant neighbourhood. Fortunately, Vancouver is home to many drool-worthy restaurants and eateries. Start your day off at Cafe Villaggio and indulge in freshly brewed coffee with a smoked salmon bagel. 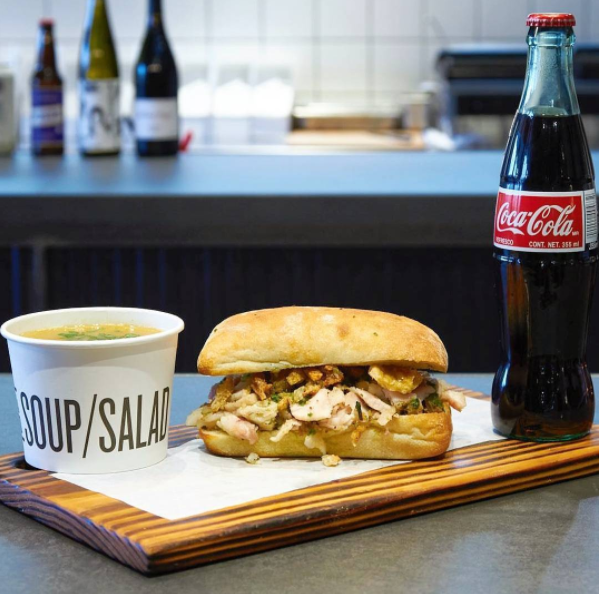 For lunch we recommend the popular Meat & Bread, where sandwich making is transformed into art, and the hungry into satisfyingly full. Finally, head to Cardero’s for fresh seafood and picturesque views. From oysters, to steaks, to sushi, their menu is chock-full of delicious options. Although you’ll have to venture a little outside of Coal Harbour for this one, it’s well worth it. 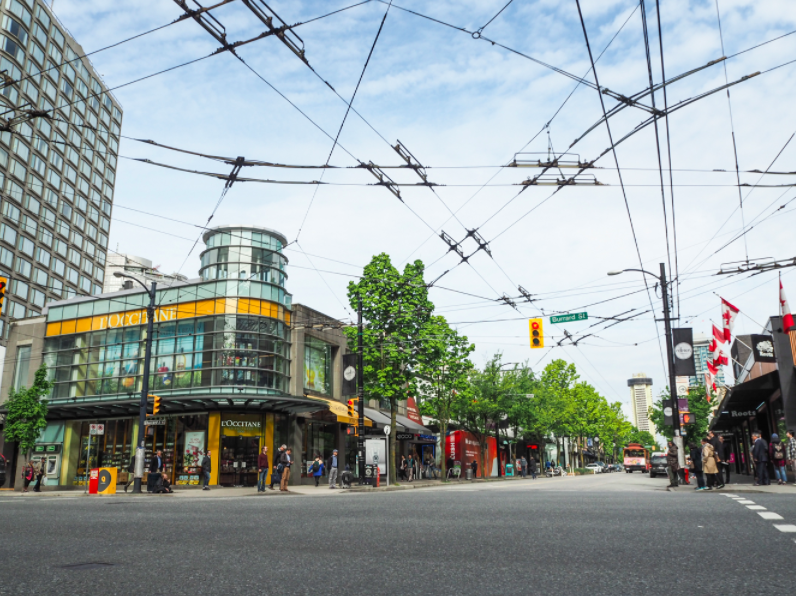 Just south of the neighbourhood is Robson Street, one of our favourite shopping destinations. Not only does it have something for everyone, it also makes for the perfect day trip with the whole family. Equally enjoyable is Pacific Centre, and with 100+ stores to visit, you’re likely to leave with a bag or two in hand. BC’s largest city is known for a few things, particularly it’s opportunities for outdoor activities. First up is Vancouver’s Seawall, the world’s longest uninterrupted waterfront path. 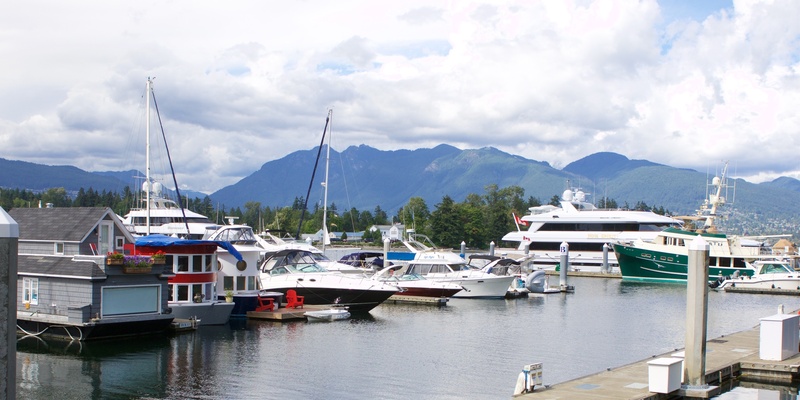 Starting in Coal Harbour, you can walk or bike all 22 kilometres while taking in the beautiful scenery. Stanley Park is also conveniently located along the Seawall and is home to trails, local wildlife, and several cultural and historical landmarks. Finally, be sure to check out FlyOver Canada. While hanging suspended before a 20 metre spherical screen, you’ll visit some of our country’s most iconic locations. Trust us when we say it definitely deserves a spot on your Vancouver bucket list. What are your favourite places to eat, shop and visit in and around Coal Harbour? Tweet us at @vanextendedstay to let us know!